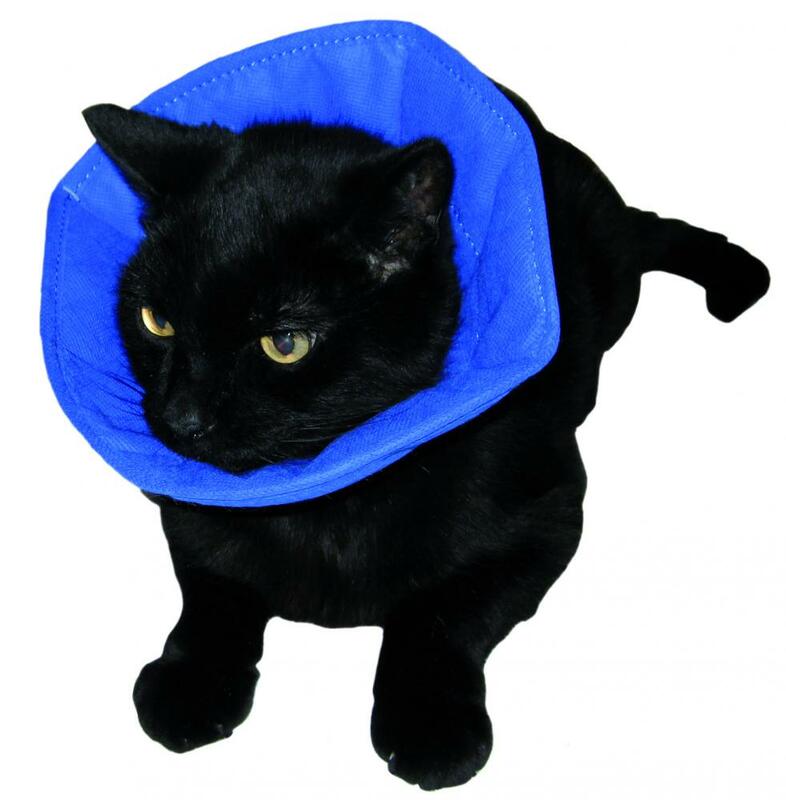 An Elizabethan collar designed for cats, dogs and small animals in soft but durable fabric. Unlike other collars, the SoftE absorbs noise making it very well tolerated. Made of padded fabric, our award winning SoftE Smart Collar provides an effective barrier to licking or pulling at sutures or self-trauma of wounds. The material is uncoated non-woven fabric, which is non-allergenic, non- toxic and water resistant. Ideal for use in practice, this collar doesn’t bang or bash against kennels or cages. It absorbs noise and making it very well tolerated by ophthalmic, aural, nasal and other head sensitive patients aiding a quick recovery. Also suitable for rabbits. 5 sizes for dogs available and one for cats. Below are some recent questions we've received regarding MDC Smart SoftE Collars, including answers from our team. How do I measure my dog to make sure order the right size? I have adopted a medium sized dog, who was injured before I got, her and has had to have two ops. my vet thought she had been shot with a pellet gun before coming to England from Rumania, she is over weight as she was unable to exercise much for approx two years. Now she has had a cancerous cyst removed from her neck about 1inch behind her left ear,and has to wear a cone collar. I want to get her a Soft-E-collar but don't know how to measure it. To measure the size of the Soft-E-Collar best suited to your dog, you will need to measure around their neck. The sizing chart is available in the description of the product to determine the right size for their neck circumference.